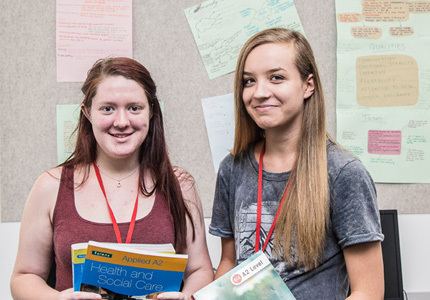 Being a student at Barnsley Sixth Form College is about much more than your classes. Studying here is different to school; there are no bells, no uniforms and you’ll call your tutors by their first names. You’ll be treated as an adult and really start to develop your own learning style. 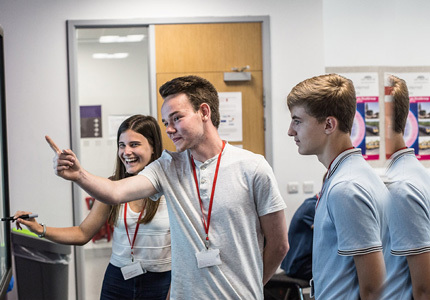 You will also have the opportunity to get involved in a range of activities, from the Students’ Union to Enterprise, Learner Voice or Enrichment. When you start your A Levels you will be allocated a designated Personal Progress Mentor (PPM) to guide you through your time with us and help you reach your potential. Your PPM will monitor your progress against your target grades in all subjects, give pastoral and careers guidance and help you with study skills and UCAS applications. As a Barnsley Sixth Form College student you can access a wide range of books and journals as well as computers, printing and photocopying in the Nucleus. You will get a chance to see these facilities when you visit us on our Open Days. 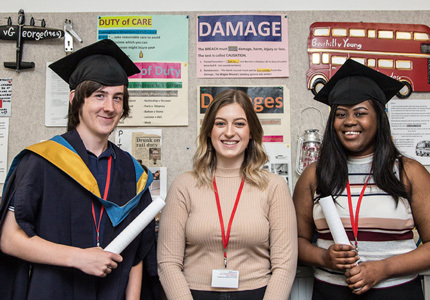 We want all our students to continue achieving their potential after leaving Barnsley Sixth Form College so we provide guidance and research opportunities on career options and university applications. 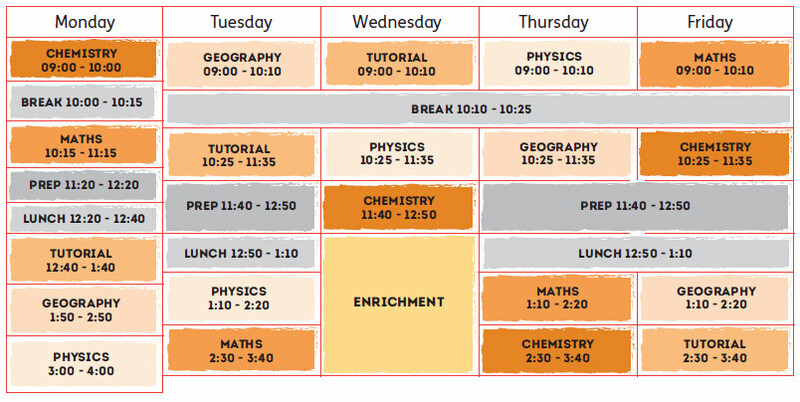 We arrange a programme of information sessions each year, including talks from different universities, advice on student finance and completing UCAS applications and visits to universities and UCAS Conventions. Do you want to represent the opinions of your fellow classmates? You can become a learner representative and attend departmental learner forums to voice student opinions and potentially make changes to your course and College if necessary. The Students’ Union is here to represent, support and advise you on all aspects of student life. When you enrol you’ll automatically become a member of the SU which is led by a group of students – the Student Union Committee – who are elected by you and supported by the SU staff. There are lots of volunteering opportunities available in the SU and a chance to be part of the student council as well as the elected position on the Committee. Being a part of the SU will help you develop some valuable skills and it looks great on UCAS applications and your CV. The SU is located in the Atrium in the lower ground floor at our Old Mill Lane campus. If you are interested in setting up your own business, we can offer support and encouragement. There are opportunities to get involved in a number of different programmes and projects whilst building your skills in communication, team work, problem solving and creativity. We celebrate the diversity of people who learn and work in the College. We are opposed to any harassment or discrimination arising from: race, ethnicity, gender, sexuality, age, disability, religion, faith or class. We will challenge any inappropriate behaviour or attitudes.